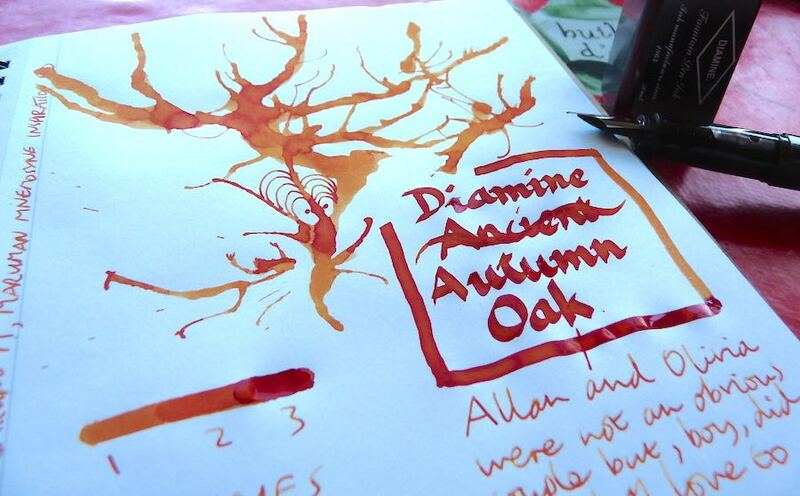 Diamine Autumn Oak Ink Review – Pens! Paper! Pencils! Diamine Autumn Oak is a lovely brown ink that shades beautifully and really does make you think of autumn leaves. I keep getting the name confused with Ancient Copper, as you see. 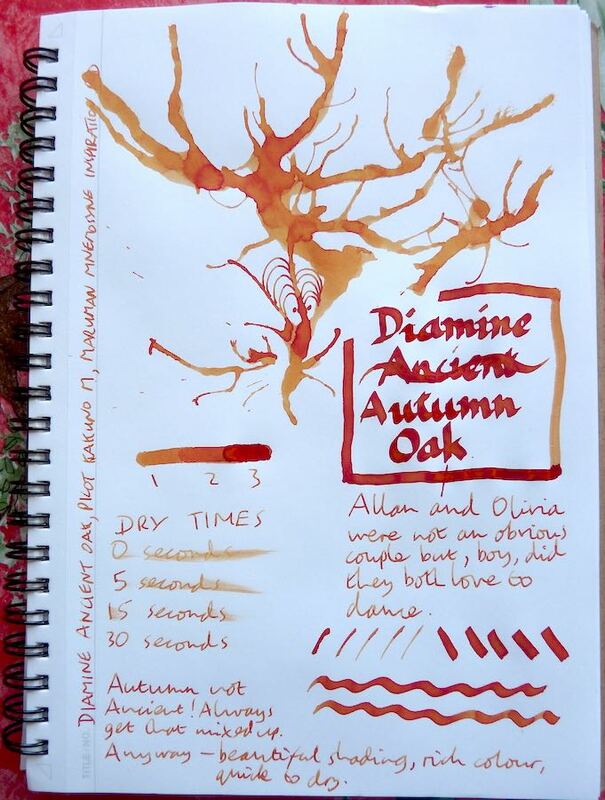 You can find some more reviews of Diamine Autumn Oak on Pennaquod. This looks a lot like Noodlers Habanero, but since it’s Diamine, it probably dries a lot faster! As a leftie, I can’t use Habanero, but I love all Diamine inks for their wide range of colors as well as short drying time. It’s a lot browner than Habanero and yes, fairly quick to dry!